Charity Causes OlioHop Round-up and a special surprise! Instead of running one of our regular Oliohops this month and having bloggers develop a plan for a brand new space, we decided to take some time to recognize some of our amazing members for the work they do to help others. 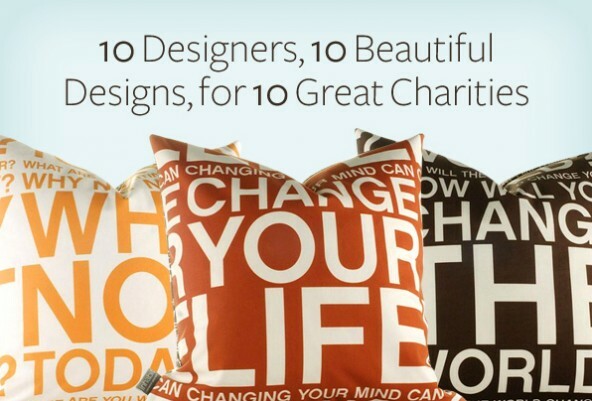 In this Oliohop we share ten amazing designs by 10 wonderful designers for 10 worthy causes. And now for the round-up! Jaime and Ron are two amazing designers that are thrilled to be a part of the top drawer designers enlisted to contribute to the inaugural Mattel Children’s Hospital UCLA Dollhouse Project. This event and the auctioning of the incredible fantasy doll houses they are designing will benefit the hospital and the newly launched Children’s Discovery and Innovation Institute, a new initiative to promote collaborative research and innovation in pediatric medicine. The charity’s hope is to raise awareness in the community of the incredible resource we have in Mattel and to spread the word about all of the cutting edge pediatric treatment and research being done at the hospital. 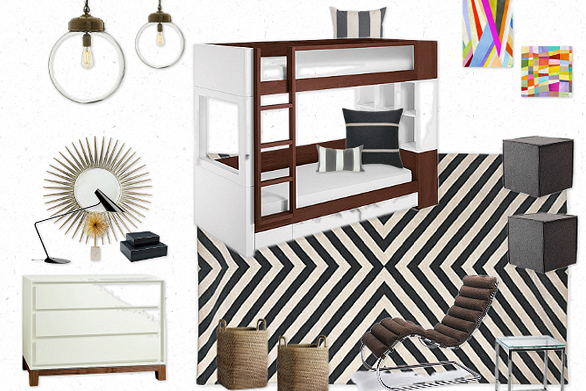 We are proud to share a sneak peek of their high style “Malibu” beach house concept in an Olioboard collage. The Dayton Philharmonic Volunteer Association, (#DPVA) a non-profit volunteer association is sponsoring an incredible Designer ShowHouse and Gardens to raise funds to provide musical programs, instruments and education for children throughout the Dayton and Central Ohio areas. Since 1934, the Dayton Philharmonic has provided an introduction to the wonders of classical music through its man­y Education Programs and serves over 50,000 kids in twelve counties. As a new member of the Dayton Philharmonic Volunteer Association, Patti feels privileged to be part of this year’s wonderful ShowHouse. 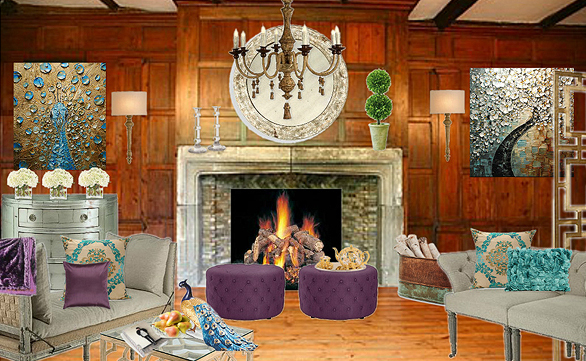 Above is Patti’s virtual vision of the main living room. Help 4 Haiti began about 3 years ago right after the earthquake occurred in Haiti. Olivia’s father went to Haiti about two months after the earthquake took place to try and help rebuild and minister to the people there. After her father returned he began sharing his passion for helping those in Haiti to rebuild and have a better future. The family began Help 4 Haiti on Facebook and soon after started a twitter account @HaitiOrphanHelp. Their mission is to help feed and support 175+ orphans in Haiti. We are pleased to share Olivia’s dreams for a future orphanage that she hopes to help build this December in Onaville Haiti. Lynda’s love for thrift and design is a perfect match for the Housing Works’ *Design On a Dime* Benefit which marries both thrift and design to create a wonderful charity to support. To further increase awareness, Housing Works launched a charity event called the Design On A Dime Benefit. Design on a Dime (DOAD) features more than 50 of the world’s top interior designers, who create unforgettable room vignettes with new merchandise, which is donated and then sold for 50 to 70 percent off retail pricing. 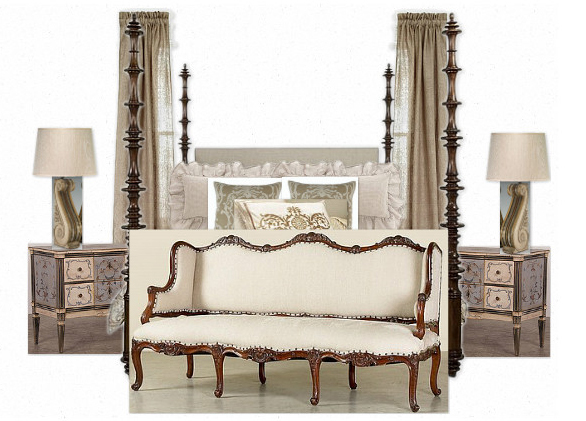 Check out Lynda’s full post to see amazing Design on a Dime vignettes by well known designer Patrick J Hamilton. 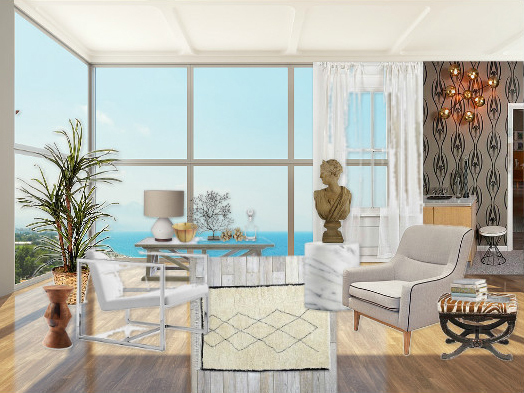 While you’re at it, be sure to check out Lynda’s top ten tips for creating your own vignettes on Olioboard. What perfect timing. 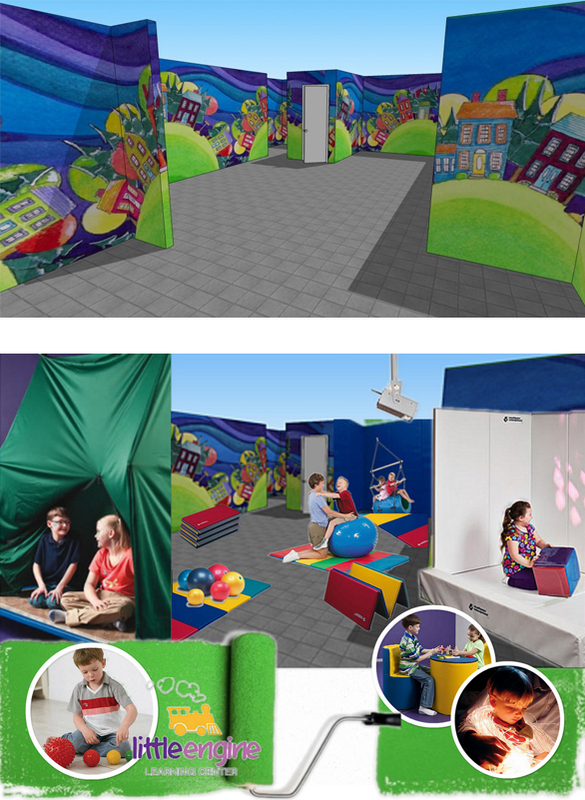 Customized Walls was recently approached by a non-profit who is starting a Pre-School for children with learning differences called The Little Engine Learning Center. Children with autism spectrum disorders can be sensitive to light, sound, and touch and addressing those needs in a pre-school environment is an innovative idea that will really help this community. Shortly after, Olioboard asked her to participate in our Charity Blog Hop. Funny how timing works and what a great chance to draw attention to this wonderful cause. 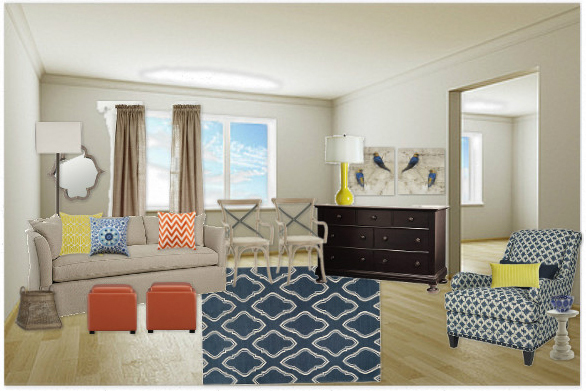 Here’s a look at Laurie’s design with a little help from Eric Schimelpfenig of www.sketchthis.net to help create a 3D model of the space with their initial wall mural design. Super talented James Bedell of www.JamesBedell.com , NYC contract lighting designer is also on board to help get donations of LED panels that can be installed behind our fabric wall murals which will make these skies light up and gradually turn to night throughout the day. LOVE IT!!!! 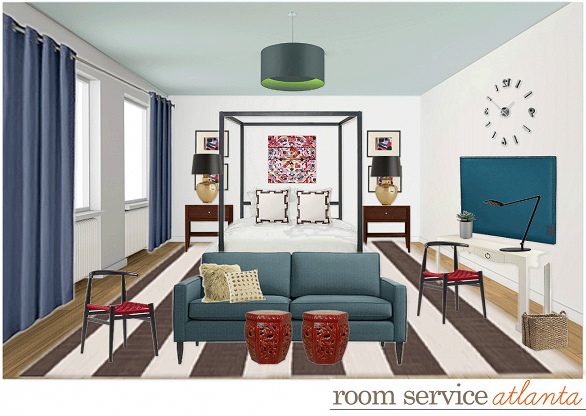 We are so pleased to include the talented Erika Ward and Room Service Atlanta in this months blog hop. Last Fall, Room Service Atlanta gathered 20 interior designers and a host of generous vendors and suppliers to completely transform the Sam Bell Cottage. Located on the campus of the United Methodist Children’s Home in Decatur, Georgia, the Sam Bell Cottage houses young men ages 17-21 who are a part of the Transitional Living Program. This program provides young adults with the tools they need to succeed as they progress into independent living. Building upon the success of Sam Bell Cottage, a high-spirited Open House, and well-attended wrap up party the team has resolved to give the girls’ cottage a makeover as well! For more information and to learn how you can help, check out Erika’s full post here. 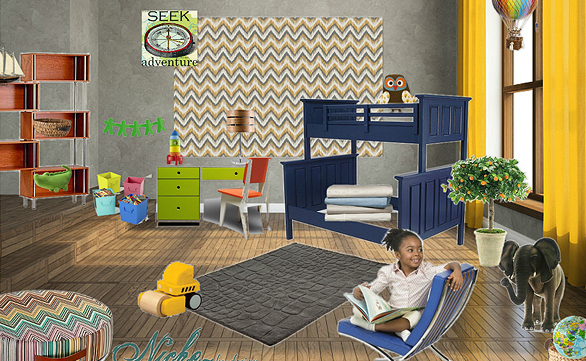 Dwell with Dignity is a wonderful non-profit group of Interior Designers and volunteers dedicated to creating soothing, inspiring homes for families struggling with homelessness and poverty. They provide and install home interiors for families that include furnishings and art, bedding and kitchen supplies, and food in the pantry. Check out Kim’s full post so see a number of their fantastic designs and to learn more about how you can help out. Another fantastic charity that we are happy to share in this hop is the The Teen Project’s Charity. Their goal is to provide teens aging out of the foster care system with all of the resources and support of an intact family, to allow the greatest opportunity for a successful transition to adulthood. With over 150 beds to to fill and meeting rooms, offices, kitchen areas, lobby and more to design, they have their work cut out for them. Right now they are looking for designers to come aboard as well as looking for lots of bedroom and living room furniture. Check out Vanessa’s blog to learn more on how you can help. This talented lady just recently participated in Preservation Houston’s first ever show home, The Villa de Luxe Designer Show House 2013, presented by Luxe Interiors + Design. This Mediterranean Revival style home was built in the 1920′s by architect William Ward Watkin and thanks to Donna, now has a beautifully redesigned master bedroom. We’re loving the lavender and metallic wall treatment. 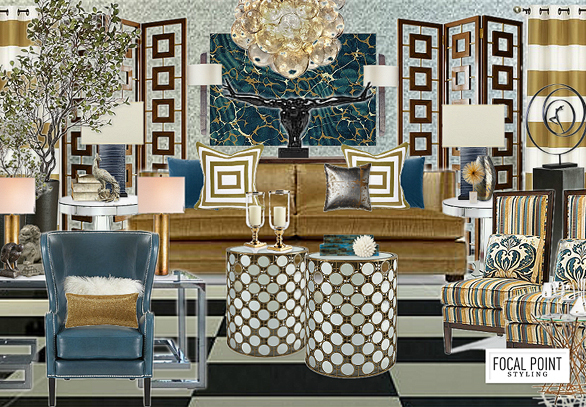 Check out the full post to see several sneak peek shots of Donna’s actual room in Villa de Luxe Designer Show House. If you love the setting and romance of Downton Abbey, then Lynn is certain that you will be charmed by this stately and historic home. There is stunning architectural detail, beautiful period furniture and lovely grounds that feature a walled garden designed by famed architectural firm, Delano and Aldrich. But Bartow-Pell Mansion Museum is not just another pretty house. It is a true oasis for its local Bronx constituency. School children visit weekly. In addition, there are regular concerts and lectures, and its holiday celebrations are legendary. Outdoors on the grounds, city kids can actually dig in the dirt to plant their own vegetables. And that’s just scratching the surface regarding the mansion’s programming. 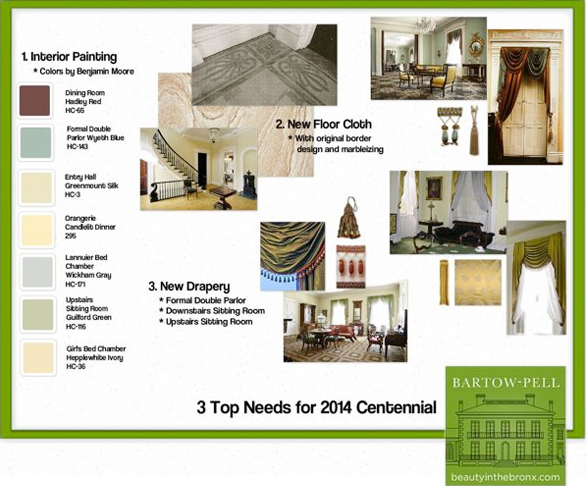 Unfortunately, Bartow-Pell has no money in its small operating budget for repairs to the inside of the mansion. Some years back, the kind folks at Benjamin Moore (a site partner with Olioboard) assisted Bartow-Pell with paint analysis. At that time, Benjamin Moore identified the paint colors shown above. You can imagine that the paint, period-appropriate drapery, trim and a new artisan handcrafted floor cloth will require a fair amount of funding so every little bit helps. View the full post for all the details on this worthwhile cause. And now I want to say a BIG THANK YOU to Lamps Plus for graciously donating $250 to each of the ten bloggers to give to their charities. We are so pleased to see our brand partners collaborating with our community members in a positive and meaningful way. Thank you Lamps Plus! A big thanks to all ten ladies for their amazing work with these charities and for taking even more time out of their schedules to share that work in our oliohop. We are very proud to help bring awareness to your causes and hope that this oliohop helps to do just that.